When a person dies somebody has to deal with their estate (money property and possessions left) by collecting in all the money, paying any debts and distributing what is left to those people entitled to it. Probate is the court’s authority; given to a person or persons to administer a deceased person’s estate and the document issued by the Probate Service is called a Grant of Representation. 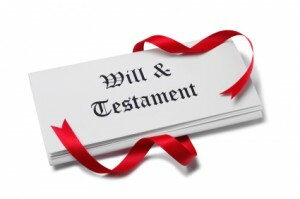 This document is usually required by the asset holders as proof to show the correct person or persons have the Probate Service’s authority to administer a deceased person’s estate. For many Executors faced with sorting out an estate can be a daunting task. If we have acted as the inancial advise to the deceased we have most of the records required to help the Executors complete the application for probate and can assist the executors in obtaining probate if they are not seeking the assistance of a solicitor. We can subsequently arrange for the re-registration or sale of assets as required by the Executors. If a solicitor is acting for the Executors we can of course provide a valuation as at the date of death and all the information which may be needed.